This is the special project I have been working on in bits and pieces over the last month. 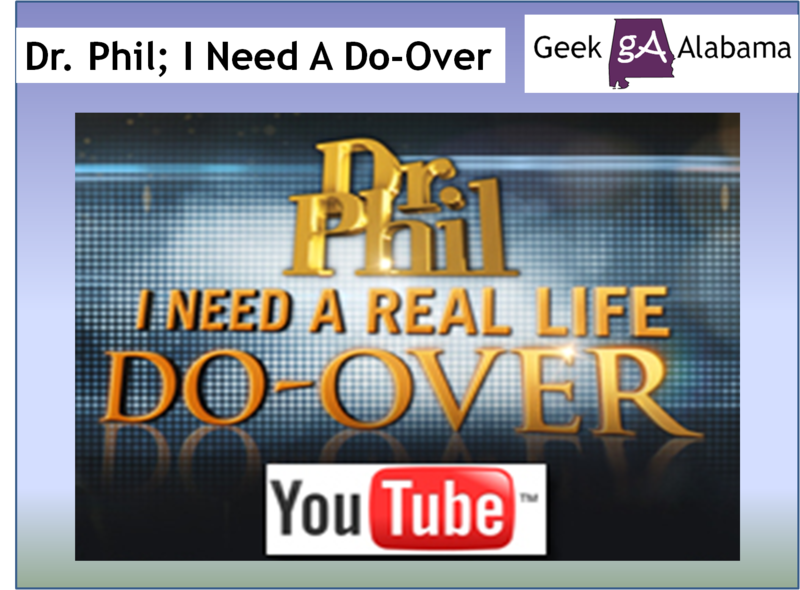 I saw this off the Dr. Phil website called Dr. Phil; I Need A Real Life Do-Over. And after you read what I have written below. You will understand why I hope the Dr. Phil show considers me for this. I do hope I get contacted by them because I have run out of options and I am almost out of hope. Please watch the video and read my story below. Dr. Phil; I think I would be the best candidate for a real life do-over. Right now I am approaching one year since I was fired from my last job. I am searching for my 14th job and I have been to numerous job fairs, filled out numerous job applications, and been to several job interviews and nothing has happened. I had even tried to earn an internship and even win a job with no luck. I had held thirteen other jobs in the last six years since I have been in the work field. And on every job I have held I have either been fired or it was a temp job. And while I was on the job I was a very clumsy person. Many of the co-workers thought I was a good person while at work but I made too many mistakes on the job. I dropped things, broke things, messed things up, and made mistakes that costed the employer too much money to keep me working. And while on the job I was bullied by several co-workers. I really want to work and earn a living but every employer that looks at me sees me as a liability. And I wish I was not viewed as that. From the time as a kid to now my life has been full of misery. After my parents divorced my dad married someone with three stepbrothers. The step brothers hit me numerous times and called me bad names. And the parents were also bullies to me. I would have to sit at a table while a camera was trained on me. And I got to sit in my room for days at a time while smelling urine soaked bed sheets. And I got punished for screaming for help while the stepbrothers got a slap on the wrist. And while this was going on I tried to get away from this. I ran away from home for a day. And I got so desperate that I tried to commit a crime so I could go to juvenile detention. It would have been more peaceful than the environment I was in. I tried to talk to anyone but I was not believed because my dad and stepmom lied about my situation. I got a chance to leave for my mom’s and I took it. And I have not seen my dad in over 10 years and the stepbrothers have gotten in trouble with the law. The youngest was put in jail for drugs and weapons. When I got to my mom’s she was married to someone who was an alcoholic who drove drunk quite a bit. After some fights between my mom and her former husband they separated. Around that same time our house burned to the ground and she still suspects that my mom’s former husband did it. At the same time my mom’s relationship was not good as well. She got angry because she said I was talking bad things about her but it was her aunt and mother that was telling me these things. To this day my mother has not talked to her mother or aunt because she said it was my fault. One of my wishes is to try to bring some of my family back together. Because we are way too divided right now. Some of my other family and friends I talk too are even worried about how my mom is raising my younger brother. I also knew that I was different and I was eventually diagnosed with Asperger’s Syndrome and this is something the people know me acknowledge but my mom’s does not. Sometimes we argue back and forth over that. While I was in school I struggled. I moved around to over 10 different schools around the country and at every school I was a huge bully target. I was bullied verbally and physically by many students. And at the same time I struggled with classwork. I had trouble reading books and could not concentrate with classwork. Many of the teachers made my work easy so I could pass and move to the next grade level. And I was often in speech classes and in special education classes because I struggled. I barely graduated from high school and I immediately struggled with class work while in college and failed many tests. I did online tests and my grade level on some subjects is at an elementary school level. My mom sometimes does not want to acknowledge that I will need tutoring help to get through any higher education. And this impacts our relationship. I have been trying to improve my life but things have not gone so well. I have been unemployed for a year now and have around $500 left in the bank. I have tried to get healthier and have been on local TV but with limited income I can barely do anything. I know that I am obese and I really want to turn that around. I also have not been to any doctors for over six years now. I have tried to improve some of my skills but that has not gone so well. The people who knows me wonders why I am always down and they do not understand what I have gone through in my life. I have been abused by family and siblings, bullied, abandoned, suffered, and even been homeless. With everything I have gone through you could say I have been down and depressed for the last 20 years. I want to improve my life so I do not have to be dependent on anyone. I want to have a successful career and a great family. By the way I have never dated in my life. 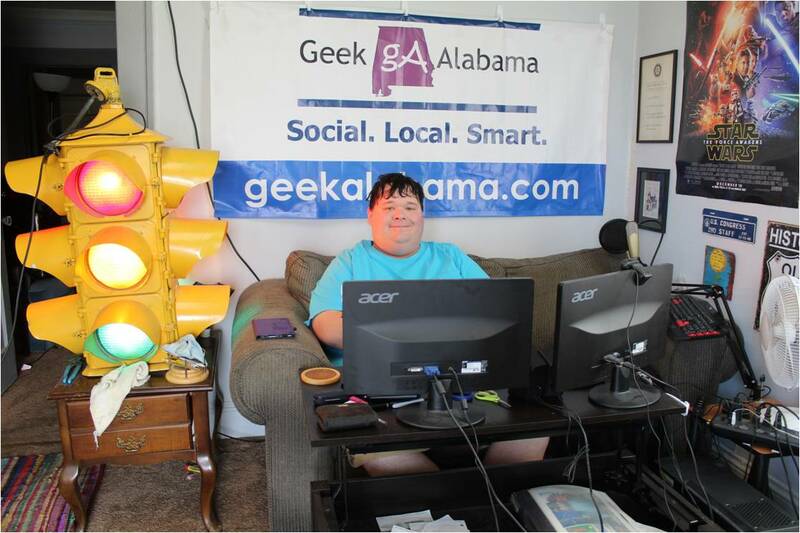 The only thing I feel like I have had a success with is the blog Geek Alabama. And I feel like I have a great future with that. I have great talents and love doing the things I love. I love photography, cooking, drawing roads, pets and animals, weather, traffic lights, animation, and writing. I just wonder what could happen with me. I feel like I am going to end up living under a bridge, living in an abandoned building, living in the woods, or get desperate and end up in jail. I just want someone to see my talents and what I can do. I have tried to turn things around myself with no success. And I feel like The Dr. Phil Show can help. Please help.